Jan Norris remembers when customers sat on fig and olive barrels when they dined at Antone’s Import Co. in Houston more than half a century ago. Norris moved from Vivian, Louisiana, in 1957 and ordered his first Antone’s po’boy at the location on Taft Street a few years later. Now 80 years old, Norris, who works in public relations, can often be found reading a magazine or newspaper at Antone’s Famous Po’Boys on San Felipe Street near The Galleria. “I feel good when I come here,” he says. 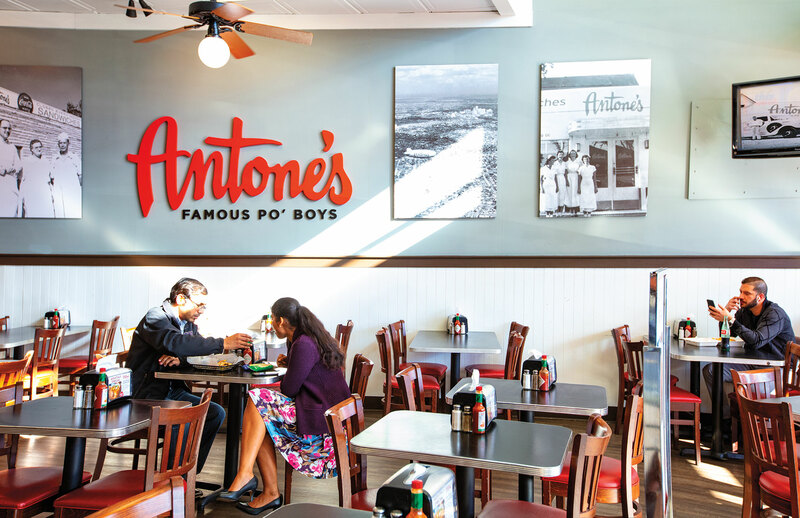 Antone’s po’boys hold a special, nostalgic taste for Houstonians. Bayou City expats once had to schedule trips back to their hometown for a loaf smothered with mayo and filled with pickles, meat, and cheese. 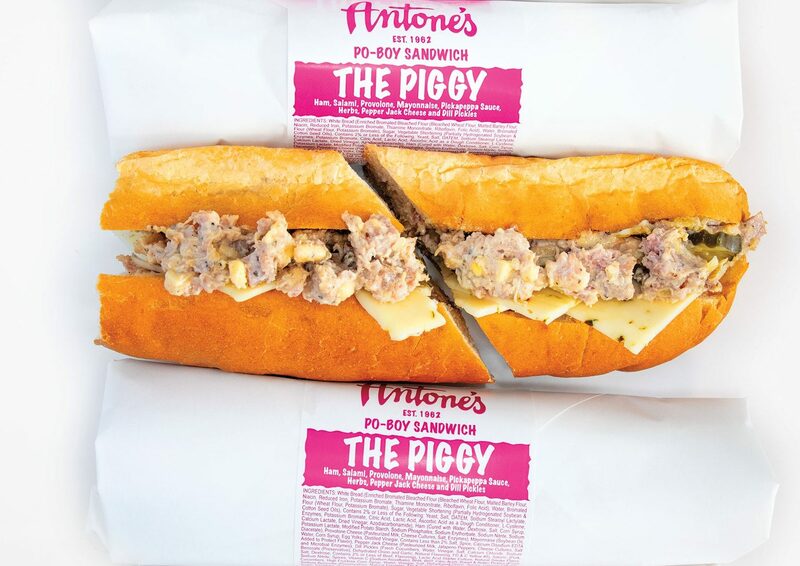 Legacy Restaurants, which has owned and operated Antone’s since 2006, heard the pleas—and grumbling stomachs—and expanded the distribution of the beloved sandwiches to H-E-B locations in Central Texas last August. The po’boys are still made in Houston with their signature Royal Bakery bread and delivered overnight to more than 50 stores in the area. You can also snag a sandwich while seeing a concert at Antone’s Nightclub in Austin. Nightclub founder Clifford Antone was the nephew of Jalal Antone, who started Antone’s Import Co. (the precursor to Antone’s Famous Po’Boys). Clifford died in 2006, but the nightclub lives on thanks to the efforts of his sister Susan Antone and a group of investors, including musician Gary Clark Jr.
po’boys to us quickly and regularly,” Bridges says. The sandwiches are available for purchase there from noon to 2 a.m., seven days a week. Po’boy distribution will soon expand to Randalls grocery stores in Austin, and then to San Antonio, Dallas, and Fort Worth in the near future. “We’ve been getting requests for a long time from other parts of Texas where many Houstonians have moved,” Horowitz says. “The response has been large and dramatic.” For those who love the chowchow relish and sweet, dill, and spicy pickle toppings, Antone’s also plans to begin selling the condiments in grocery stores sometime this year. 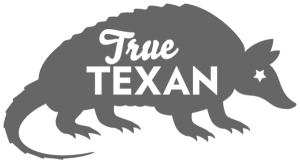 Those products hark back to Antone’s original purpose as an import company that sold pasta, a variety of cheeses, and at one point squid pickled in its own ink, according to the Houston Chronicle. 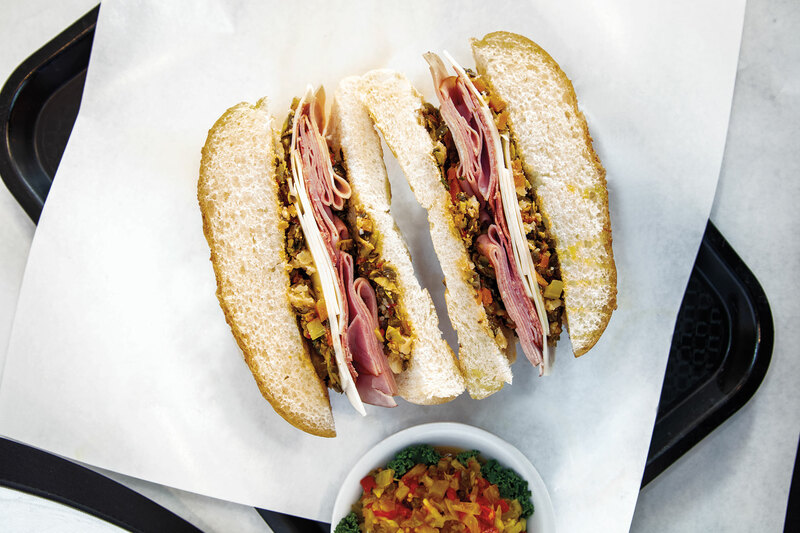 A Lebanese immigrant, Jalal took the New Orleans staple sandwich and added his own twist, serving the sandwiches cold and adding chowchow—a mix of pickled cabbage, green tomato, and bell pepper blended with spices. The Original, made with ham, salami, provolone, sweet pickles, and chowchow, is the sandwich that launched a legacy. 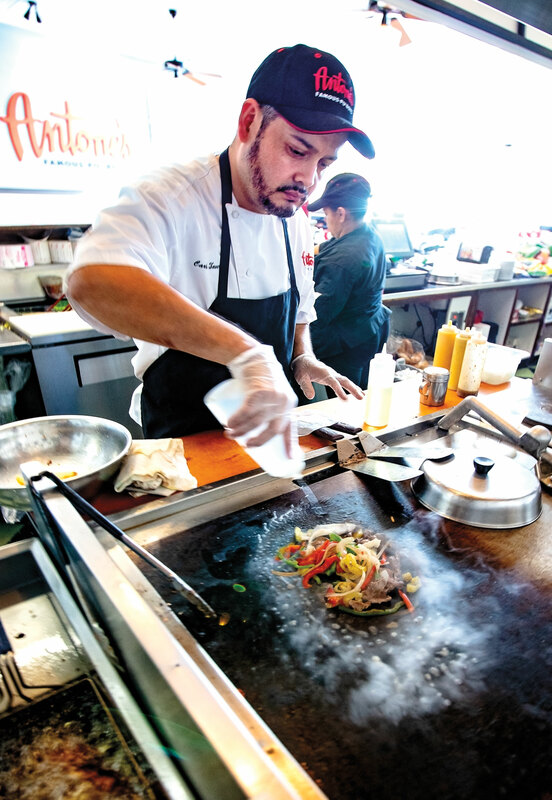 Horowitz says the quality and tradition have remained the same over the years, but Antone’s has evolved to be more of a boutique sandwich restaurant rather than a grocery or import company. The two locations in Houston (two more will open later this year) boast more than just the po’boys—their menus offer hot sandwiches, gumbo, fried seafood, and muffulettas as well. Their retro diner-inspired look features black-and-white photos of original employees. The counter is lined with jars of chowchow, and an open-top cooler is filled with the colored labels of ready-to-go sandwiches, packaged salads, and pasta sides. Open Mon-Sat 10 a.m.-7 p.m.; Sun 11 a.m.-5 p.m. Sat 10 a.m.-5 p.m.; Sun 11 a.m.-4 p.m.